"This is a rich, creamy, and delicious way to use up some of the left-over turkey from Thanksgiving or Christmas. 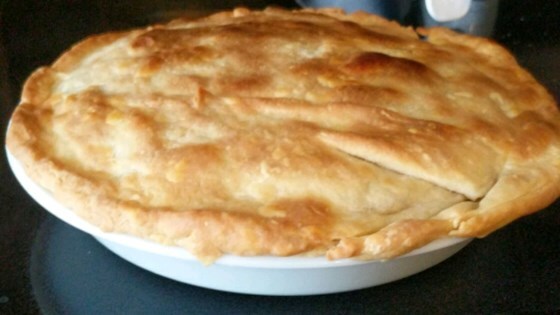 This pot pie makes a warm inviting meal for the whole family to enjoy." Lame leftovers become awesome pies! Loved it even though I didn't use a pie crust. I just served it over toast and it was still great! I can't wait to try the rest in a pie crust. Fantastic!!! a great way to use up Thanksgiving leftovers!!! So tasty. Exceptional recipe, great way to clean out the fridge.